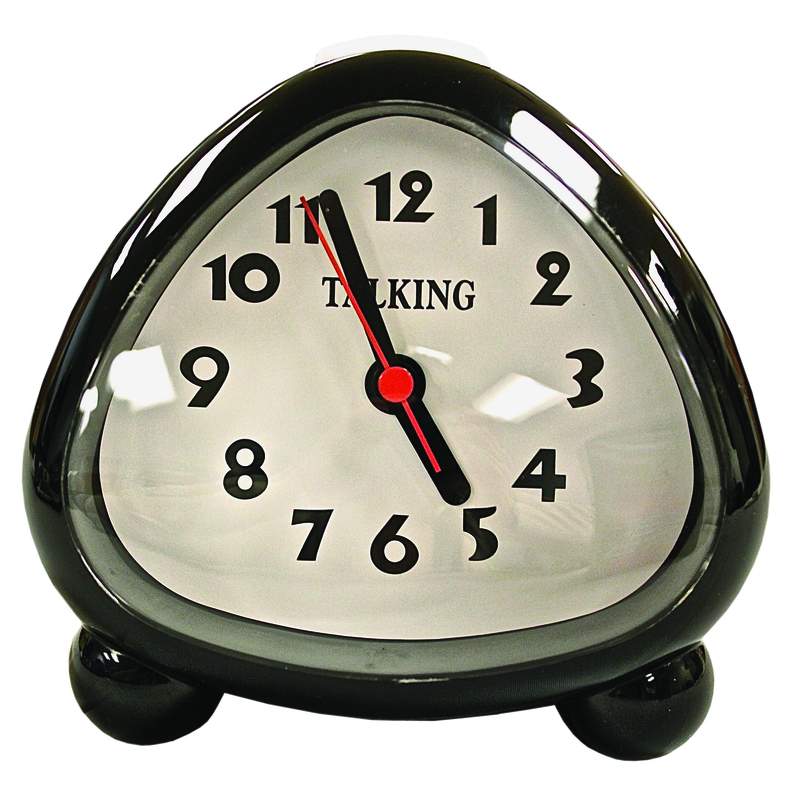 One of our most popular designs, this pear-shaped talking clock has large, black, easy-to-see numbers on a white background. Hourly time announcements can be set or can occur whenever a button is pressed. Uses two AA batteries (not included).